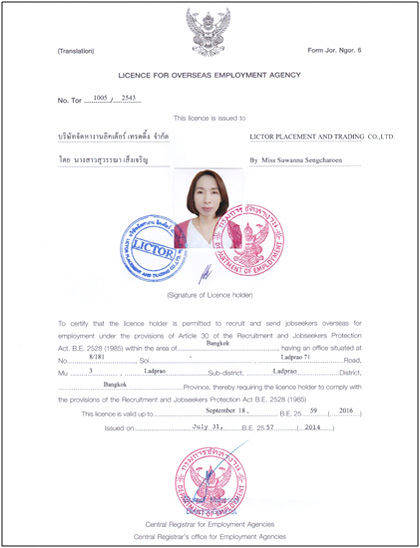 Established in 1991, Linkpro International Placement Co.,Ltd. 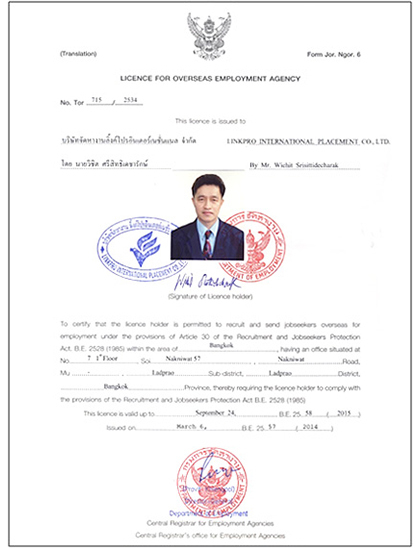 is one of the leading professional overseas manpower consultants in Thailand and has been supplying the qualified manpower to well known companies worldwide, meeting their demand for skilled or semi-skilled or unskilled workers requirement in Taiwan, Japan, Macau, Middle East, Israel, Brunei, Malaysia and etc. for over 10,000 workers. 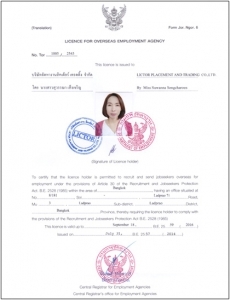 We specialize in recruiting and supplying good quality of Thai workers to the employers’ needs with the help of our qualified team of consultants and specialized trained staffs, based on principles of “high efficiency and high quality of service”. 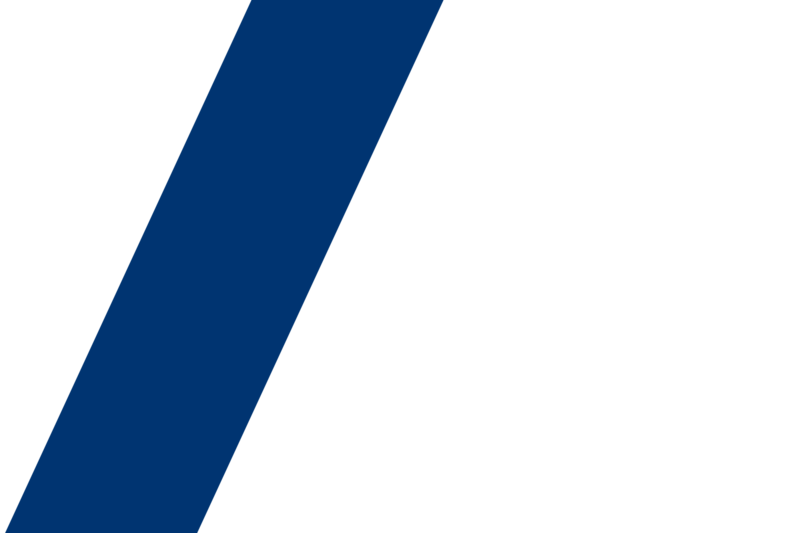 With over twenty years worth of international recruitment expertise, we pride ourselves on truly understanding our clients’ needs & requirements. Through our strong networks and experienced team of consultants, you will be ensured to receive the high-quality manpower placement service in Thailand. Mr.Wichit Srisittidecharak is our Managing Director and License holder Since 1995. 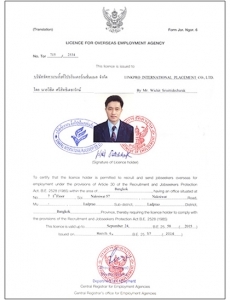 We also have our group Company in Thailand which is Lictor Placement and Trading Co.,Ltd.